I FINALLY did it... 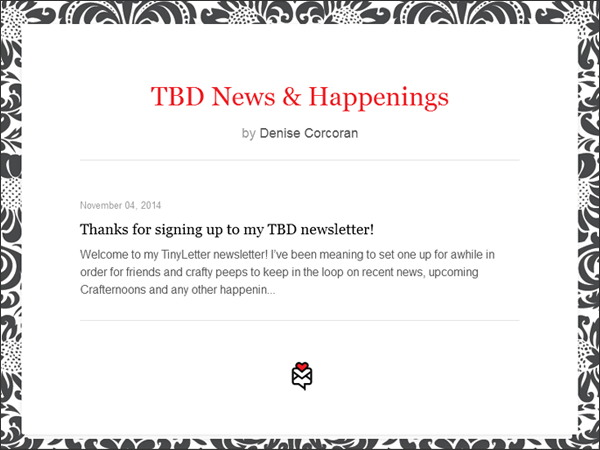 I set up a free newsletter. Yay! 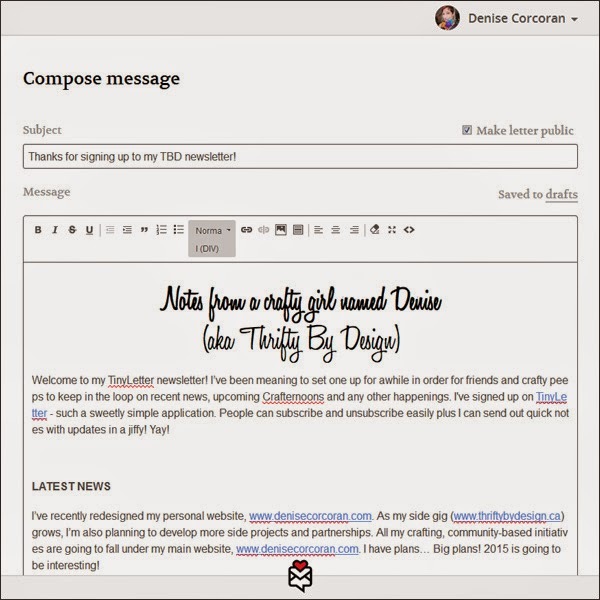 I went with TinyLetter by MailChimp. 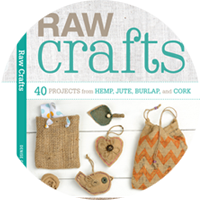 It's an easy peasy set up that's a clean design and super straight-forward to manage. Step one was setting up an account then customizing the subscribe page. Find it at www.tinyletter.com/ThriftyByDesign. You can subscribe, unsubscribe, view the archive... Nifty! I started right away to compose my first TinyLetter... The formatting is a bit basic and may take me awhile to get used to the simplicity. It's like old skewl letter writing. Seems like a very personal system. Here's how it shows up online... I need to design a better header and make sure it lines up how I want. But until my new laptop shows up with graphic capability I am doing what I can with I can... Designing graphics in Microsoft Word seems very 1998! 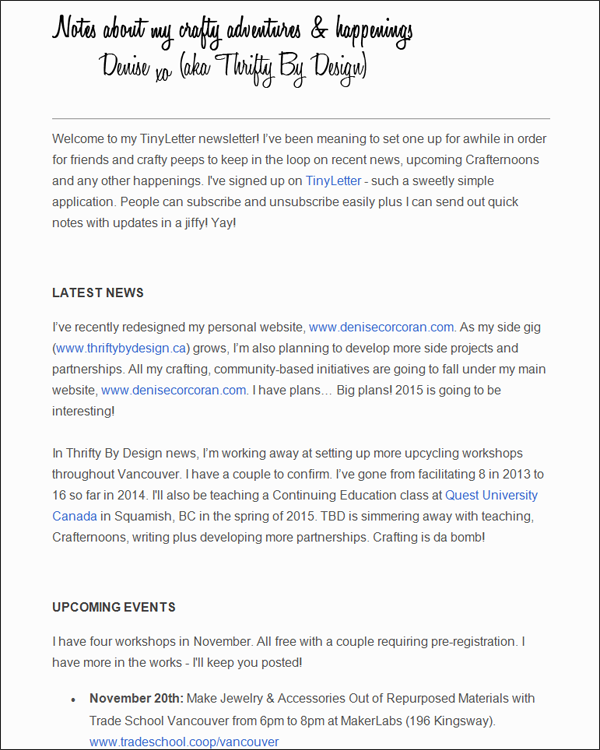 I sent out my newsletter and there it is - I now have an archive. Onwards and upwards! 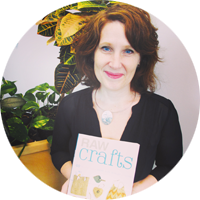 My plan is to feature upcoming workshop dates and locations, latest finds, recent projects, FAV haunts, nifty events and more! 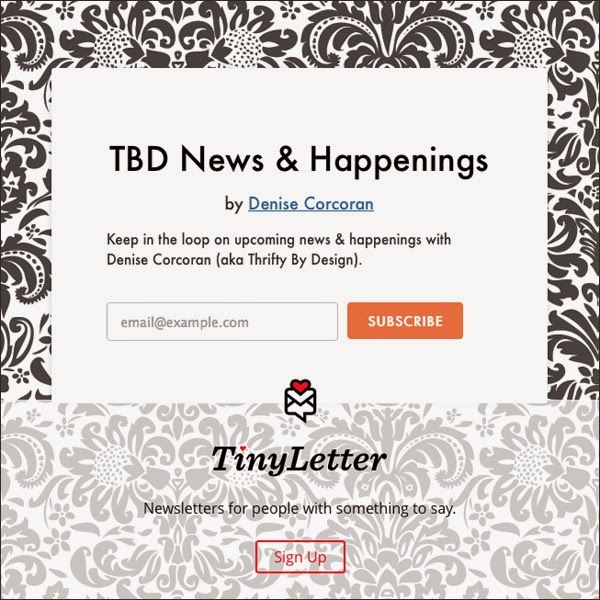 If you're interested in getting in the loop on TBD news and happenings subscribe at www.tinyletter.com/ThriftyByDesign.